Max Appliance Houston is one of the reckoned appliance service providing companies in Houston that repairs all types of appliances. We have a special team of expert professionals who see to all the repair needs of kitchen cooktops in Houston. There are varied complaints against cooktops not working properly or abruptly stopping. 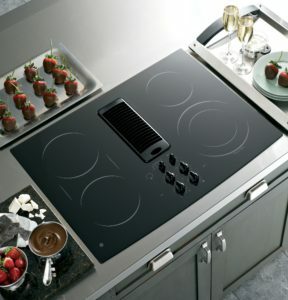 To cater these cooktop related issues, our experts have been professionally trained to use the repair tools and techniques. The most common issues that most of our experts regularly tackle are continuous sparking of the burner, the range surface element not turning off, the heating element not working, and stove burner not lighting. Our expert cooktop repair technicians have been given certification by professional trainers to perform repair services on all makes and models of cooktops like electric cooktop, gas cooktop, glass cooktop, induction cooktop etc. They can also repair cooktops of any brands as well. We have professionals who are working dedicatedly to cater all the problems that your cooktop might face. You can contact our technicians any time of the day and any day of the week to register your complaint. Our service providers would reach your location in time with all the necessary tools to determine the problem with your cooktop and provide a solution as soon as possible. Sometimes you might see that your coil has failed to heat, the coil has got damaged, it is failing to adjust to the heat or it has simply become too loose. We check the coil of your cooktop, find where the fault is and replace the faulty switch in no time to make your cooktop as good as new. For quick and affordable Cooktop Repair in Houston Tx/ Cooktop Repairing In Houston Tx/ Cooktop Burner Repair in Houston/ Cooktop Heating Repair in Houston, get in touch with us.